I have a large family. I have an older brother and three younger sisters. I wanted to depict my youngest sister because she is lovely and cute all the time, whatever she does. 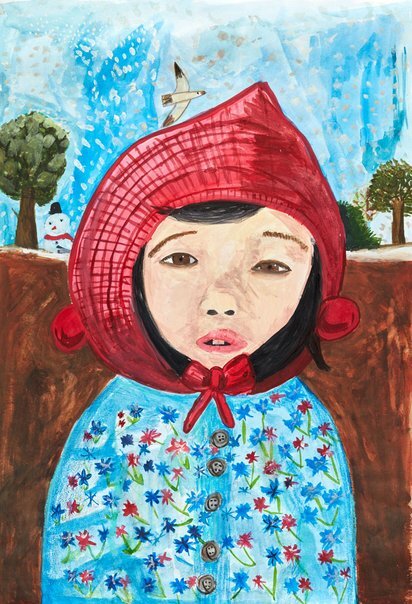 I liked it when she wore a red hood in winter because she looked like a baby.